Every winter hundreds of Grey Seal pups are born on the Farne Islands, off the coast of Northumberland. These adorable little pups are born with a thick coat of white fur and normally stay with their mother on the islands for up to a month. Last week the British Divers Marine Life Rescue (BDMLR) rescued a pup at St Mary’s Island in Whitley Bay with an abscess. 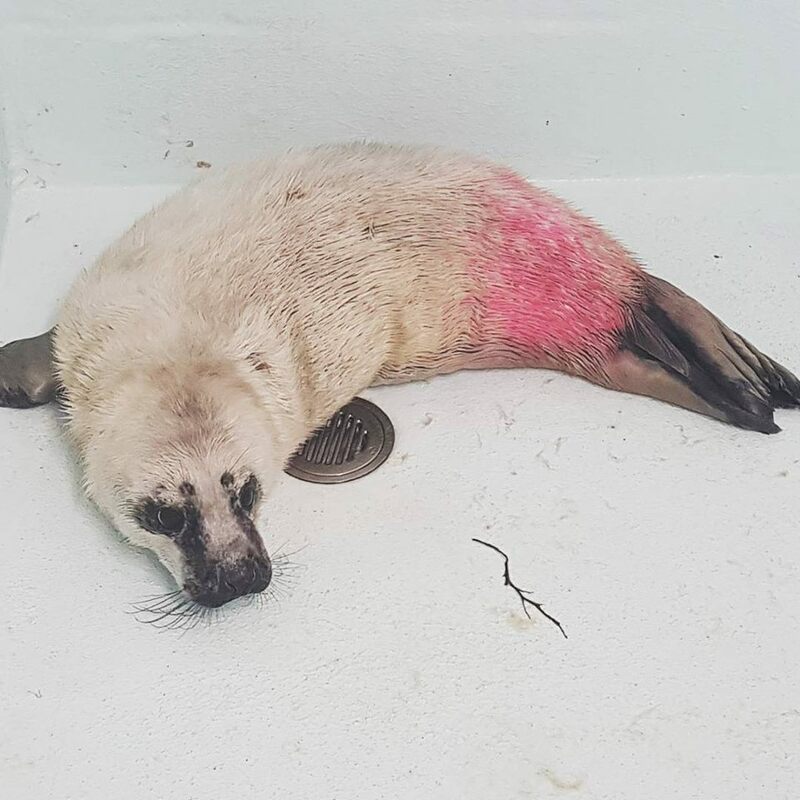 The seal has been named Barry and could be tracked back to the Farne Islands thanks to his markings. He has been moved to the Marine Rescue Centre at Blue Reef Tynemouth where he is recovering from his injuries. The Staff and volunteers who run the centre aged him at around 3 weeks old. At this age he should be still on land feeding from his mother. So he is extremely lucky to survive the 40 mile trip at sea. Although he is quite large for his age, weighing 30kg, his white fur means that he is still only a few weeks old. Terry Mckeone, Head of Seal Rescue at Blue Reef Tynemouth said “We are happy to say that Barry is doing very well. The Farne Islands holds one of the largest colonies of grey seals; it is thought that Barry had been washed away into the sea with the recent bad weather. Grey seals like Barry and their close relatives, harbour seals are both commonly seen in the North Sea, but increasing numbers need the help of rescue centres such as the one at Blue Reef Tynemouth. Barry will be kept at the Rescue Centre at Blue Reef Tynemouth for around 6 weeks, until he is well enough to fend for himself. While he is there visitors can watch his progress and learn about what they can do to help the seal population. If you would like to see how Barry is doing, you can visit him at Blue Reef Tynemoutg, if you book online you can save up to 25%!